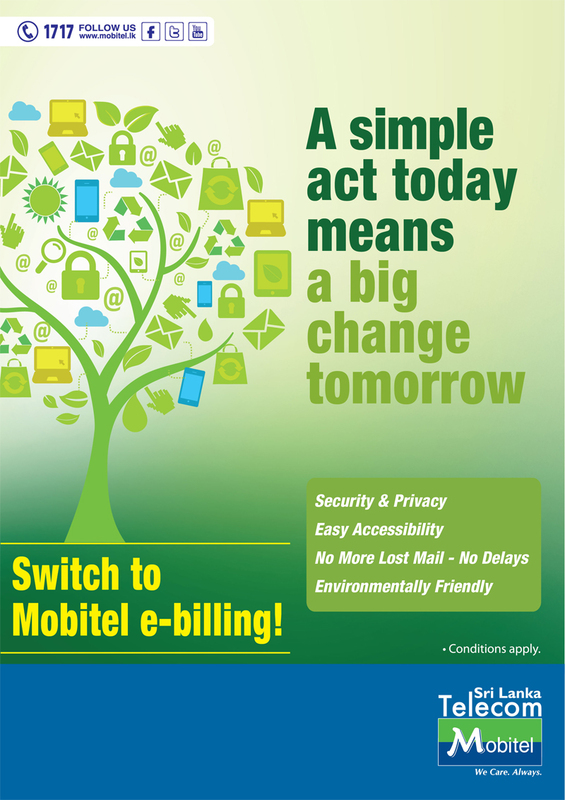 E Billing, paying over the counter at our eight locations that are situated all over your city and via SMS. To ensure customer convenience, customers are availed with multiple ways of payments specified below. Now you can pay your bill by cash at any of our payment centers. Do this by posting a cheque under registered cover to Manager Finance, Mobitel (Pvt) Limited, 108, W.A.D RamanayakeMawatha, Colombo 02. The Cheque should be written in favour of “Mobitel (Pvt) Ltd.”, along with the tear-off part of the bill. (Please indicate your Mobitel number clearly on the reverse of the cheque). To activate standing instructions you are required to submit the following documents. The standing instructions shall be effective till the date of expiry of the credit card. If applicable, please submit a new form with the amendments to the credit card details to continue the service. A written Instruction should be forwarded to Mobitel to cancel the standing instructions. Three continuous payment rejections shall subject your standing instructions to cancellation. Credit Card will be debited on the due date of the Mobitel connection. Make an online payment by credit card through our website for MASTERCARD & VISA card holders. Please login to 'My Account' and select the option 'Pay Online'. Account Number: A unique number that identifies your account. Mobitel Number: Your ten digit mobile number. Bill Number: A unique number that identifies the bill. Bill Date: The date the bill is processed. Due Date: The date the customer is required to settle the bill. Preferably on or before the date stated here. Payment Received: Payments received during the last billing period. Arrears: If the full payment is not received from the previous bills, the balance carried forward will reflect here. This month charge: The total bill for the current billing period. Total Payable: This reflects the total of the current bill and any balance carried forward from the previous bill/s. Total of Subscription (with VAT): The monthly subscription of the tariff package and chargeable VAS services including VAT. Total Call Charges (with VAT): The total call charges of local (voice/video), IDD, Roaming for the period the bill is generated including VAT. Total of VAS (with VAT): The total charges on VAS services for the period the bill is generated including VAT. Total of Data: The total charges on GPRS data for the period the bill is generated including VAT. Total Account Adjustment: The MSL, ECL & NBT applicable on the total charges (excluding VAT). VAT Exempted Items: The items which are VAT exempted will reflect here. Mobitel customers banking with National Savings Bank, Hatton National Bank (HNB), Sampath Bank,Commercial Bank, HSBC and People's Bank can reload their pre-paid accounts and pay their post-paid bills through a simple SMS. Enjoy the convenience of the Mobitel Menu-driven system for performing SMS Banking. This user-friendly system which is built into your SIM completely eliminates the hassle of remembering endless lists of short codes. For further details and registration, visit any Mobitel location or any of the above specified registered banks. Download and save or view your last three bill details. Receive an SMS notification when your bill is generated. You have not yet created your account, go to ‘My Account’ and Register. Your credit limit describes the maximum amount that can be reached without interruption to your service. Exceeding this limit will make your line liable for automatic service interruption. We will notify you via SMS when your usage reaches 75% of the assigned credit limit. An interim payment is required upon reaching your credit limit. The total billed amount (as stated in your bill) falls due on or before the payment due date. A yearly increase of 25% of your existing credit limit is offered for a maximum period of 4 years from the date of connection. Upon completion of one year in the network you will be sent an SMS to accept this auto enhancement. Following which you are required to type ‘YES’ & SMS to 4848. Your credit Limit can be further enhanced by keeping an additional refundable deposit or by making a special request where you are required to produce the following documents.